this goal-focused philosophy makes sense. But for Carney, CEO of Brocade Communications, his thoughtful approach to management-and life-goes all the way back to his childhood in Kingston, Jamaica. interview. The employer simply asked Wentworth to send the four students with the best grade-point averages in the class, Carney says. network solutions for large corporations-in January 2013. Carney holds true to the tenets of teamwork and collaboration that have served him well ever since his days at Wentworth. 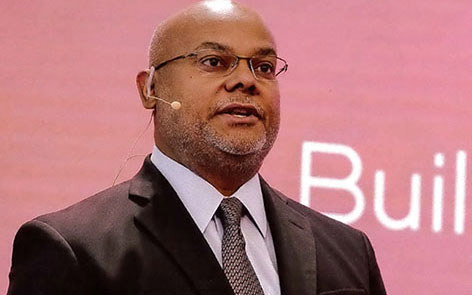 when Broadcom, a leading designer, developer, and global supplier of semiconductor connectivity solutions, acquired Brocade for $5.9 billion. Broadcom subsequently sold the IP networking portion of the business to Arris International. Whatever Carney’s next professional plan might be, it’s clear that the 55-year-old has clarity of vision when it comes to the bigger picture. “I’m happy now, and I hope to be happy five years from now,” Carney says, when asked about his plan for the next five years.